The ruble is dying, and fast. In what is now being dubbed ‘Black Monday’ the ruble’s value to the dollar dropped nearly 15 percent. Tuesday brought no respite and the ruble fell another 10 percent. The ruble’s collapse follows a similar – though by no means as extreme – slump in oil prices. Still, the Russian economy’s troubles are deeper than that and President Vladimir Putin will be hard-pressed to find an easy out. With a recession looming, state energy companies are struggling to stay afloat, if not directly contributing to the country’s woes. On the year, the ruble has lost more than 55 percent of its value against the dollar, breaking psychological barrier after psychological barrier. Tuesday’s low of 80 marks a new record and harkens back to the period of hyperinflation that characterized post-Soviet Russia. Then, as now, citizens are seeing their material wealth disintegrate amid rising costs domestically. For its part, the Russian central bank has been unable to stop the slide. Neither periodic use of the dwindling foreign exchanges reserves nor interest rate hikes have proved effective. The latest interest rate increase – enacted under the cover of night Monday – brought the key rate to 17 percent, up from 10.5, in an effort to end investor speculation. Tuesday’s trading demonstrated the speculation is far from over and the central bank is far from in control. The higher rates will further squeeze growth as the economy heads for a 4.5 percent retraction next year. Ill prepared to wait it out, the central bank is clearly a step behind the game and perhaps even out of its league. Black Monday suggested other powers might be at play. Monday was incidentally the day of an interesting 700 billion ruble liquidity auction. Prior to the auction, Rosneft raised 625 billion rubles (almost $11 billion) in a bond issue backed by the central bank. The central bank then quickly cleared the lower-yield bonds to serve as collateral for banks seeking liquidity in the auction. It’s unclear who purchased the bonds, but Rosneft explicitly stated the proceeds will finance internal projects and will not touch the foreign exchange markets. Nevertheless, speculation has persisted and theories abound. It is within reason that Rosneft’s subsidiaries and their respective banks were prepared – or financed by Rosneft that is – for the bond issue, after which they could refinance the bonds at the central bank for a 5 to 10 percent profit. A similar theory has been suggested for the bigger state banks like VTB and Sberbank, who would not comment on their involvement. The idea goes that they purchased the bonds, flipped them for foreign currency at the central bank, and then passed cash along to Rosneft through a currency swap. While complicit, the central bank has little control and, in either scenario, the money hitting the market from such a deal is certainly of the scale to inflict the damage we saw Monday. The move highlights dire straits for Rosneft who must answer to $10.2 billion of debt in the fourth quarter, which includes a $6.88 billion loan from foreign banks due Dec. 21. The company – whose market value has tumbled 40 percent this year – has approximately $55 billion in net debt and has thus far been unsuccessful in its attempts to garner bailout money from the government. In its recently defined strategic development goals, the company stressed efficiency, gas production growth, and the localization of advanced technologies and equipment. In the meantime, all eyes at Rosneft are on the price of oil, which appears to be undercutting their expectations. For Russia, the uncertainty is just as great. The Russian stock market has collapsed in tandem with the ruble and traders in the US anticipate stricter government controls as early as this week. 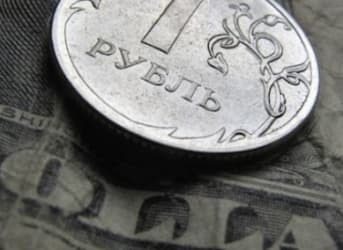 While flows of money have thus far been unimpeded, capital controls such as limits on foreign exchange transactions appear ever more likely as the ruble continues to sink. It sounds like sanctions along with the low price of oil are bringing Russia back into alignment with international standards. I wonder if people remember that they shot down a commercial airliner and if we can get to those responsible for that. If you're referring to MH-17 I think you should check the evidence before making conclusions. Why was that flight directed 30 miles north over the conflict zone by Ukrainian air traffic control? Why don't they release the voice recorders? Why were they being followed by a Ukrainian fighter jet? Why did no one see the jet trail of a ground to air missile traveling 30,000 feet up? I would indeed like to know who is responsible, but it is those who are holding the evidence that are hoping we'll forget. I made no reference to MH17, or even Ukraine for that matter. The focus here is on Rosneft and the Russian central bank.